What does a snowdrop look like? How tall does an oak tree grow? You may have heard these questions and more from your pupils, and they’ll be able to discover the answers in our special garden. As we are unable to provide a special teaching program, it’s up to the teachers to be creative. But this self-guided option allows total flexibility, and it’s a good opportunity to create additional activities that relate to age, curriculum and classroom. In addition to allowing access to our garden, we can offer laminated maps and lunch may be arranged on our Pavilion. Our wonderful staff will also be on hand to offer assistance and answer any questions teachers or pupils may have. 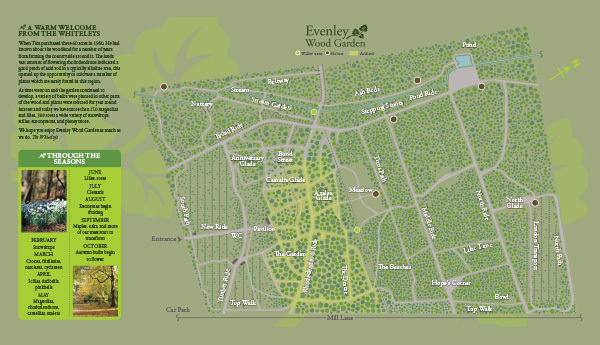 For enquiries and to book, please contact us by phone: 07776307849 or by email: info@evenleywoodgarden.co.uk. We will require the number of teachers and pupils visiting. Teachers are more than welcome to visit the garden prior to the school visit, provided that it is booked in advance. This is free of charge. We accept payment by cash, cheque, or Paypal. We have a grass car park next to the garden’s entrance. When dry, it is fully suitable for both school buses and coaches. In the case of long-term wet weather, please contact us before you make the journey. We support creativity. If you are a yoga instructor, photographer, painter, etc and are interesting in running a course in the Garden, we are available for hire. Price on application. 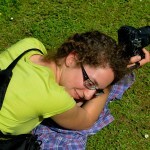 We offer placements to young people studying horticulture, botany or garden design. Based on season and duration of placement, our staff can provide a high-level of training to students. Please contact us for more information.